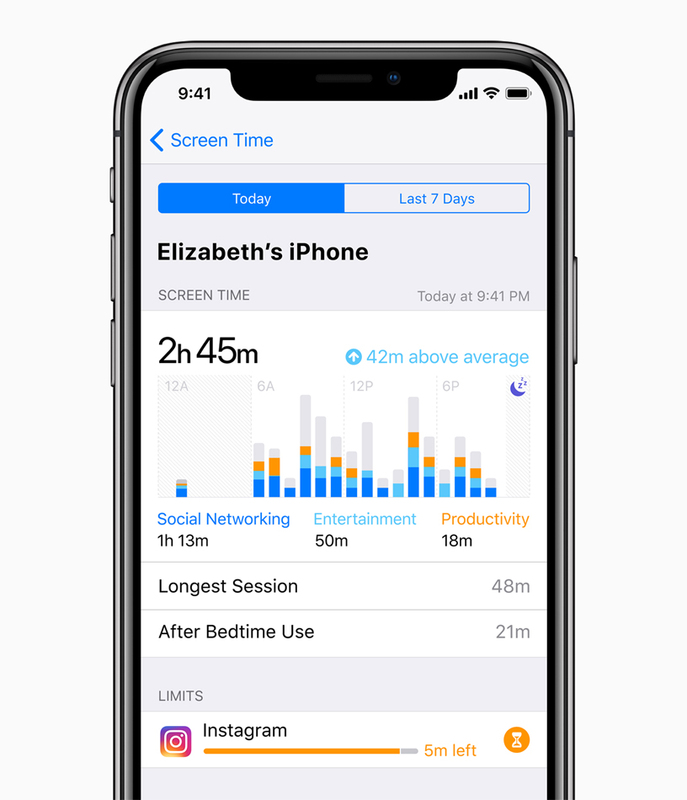 Apple has added a new set of features called screen time. With Screen Time, Apple has built a set of tools that allow us to create age-appropriate, developmentally-appropriate, and customized settings for our students. They are built in to the operating system of our iPhones and iPads which creates some unique opportunities for those of us trying to coach our students about their use of technology tools. The following pages are designed to help us understand how the screen time features work and more importantly to explore how these new features can support better use of our technology. How much time you spend in the different categories like productivity, entertainment, creativity, social networking, reading & reference, etc. Downtime – You can use this feature to schedule time away from your screen. If parents or guardians set a passcode for screen time, students are only able to use the apps that are setup to Always Allowed. You can also set app limits for specific apps via the statistics screen. We will explore how to do this on App Limits page (insert link). Always Allowed – You can use this feature to select apps that are always allowed regardless of restrictions or downtime settings. We will explore how this feature could encourage the use of specific apps you want your student to use.